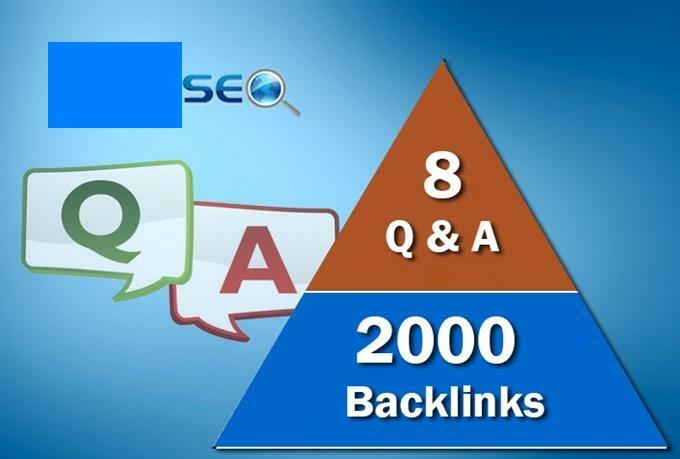 I will build 8 QUALITY seo backlinks from question answer sites plus 3000 links for just $13. Experienced SEO consultant will help you here! 8 QUALITY backlinks from QA sites. Sites have PR0-PR5 . After it i'll create a total of 3000 backlinks to the 8 pages. Then I'll send you a full report of the live links.